Flight from USA/Canada to Budapest. Note: Daikin guests may choose to arrive early in Budapest or enjoy a layover in Amsterdam to visit the annual Keukenhof tulip festival. ARRIVE IN BUDAPEST, HUNGARY – EMBARKATION. Early arrival guests may join an optional excursion and relaxation time at the famous Széchenyi Thermal Bath. In the afternoon, board Daikin's luxurious river cruise ship and get to know our guests and leaders. An evening of fine dining and sampling of local wines will be followed by an illumination cruise on the river to see the city and the many illuminated buildings on the Buda and Pest sides that together form the historic capital city of Budapest. This morning, guests will enjoy multiple excursion options to see the sights and experience the city of Budapest. Visit the historic Buda Castle, where you will enjoy a splendid view of the twin cities of Buda and Pest. Other sights include Fisherman’s Bastion, the Royal Palace, St. Stephen’s Basilica, Heroes’ Square, and more. The more adventurous can choose to join our Segway tour to experience the sights of the city, or explore the labyrinth of caves and cellars underneath Buda Castle. Wake up this morning in Bratislava, the capital of Slovakia. Enjoy a walking tour of the city’s top sights, including the Old Town Hall, Mirbach Palace, and St. Martin’s Cathedral. Those looking for a little more action can join an optional whitewater rafting tour at an official Olympic training facility. Depart Bratislava and cruise to Vienna, the music capital of the world and the capital city of Austria. Enjoy first-class Viennese cuisine and, after arrival, experience the historic first district of Vienna by night. Experience the romantic elegance of Vienna during our panoramic city tour that will take us first to the Prater, where we will ride the first Ferris wheel of the world. We continue the city tour and see the highlights of Vienna, including the Opera House, the Ringstrasse, and St. Stephen’s Cathedral. Join us for lunch at a historic cafe and in the afternoon, take an optional visit to the famous Schönbrunn Palace or an exciting Segway tour of the city. After dinner, get ready for a one of a kind evening experience on the town with Daikin. This morning, we will enjoy an exclusive private visit to one of the most memorable attractions in Vienna. 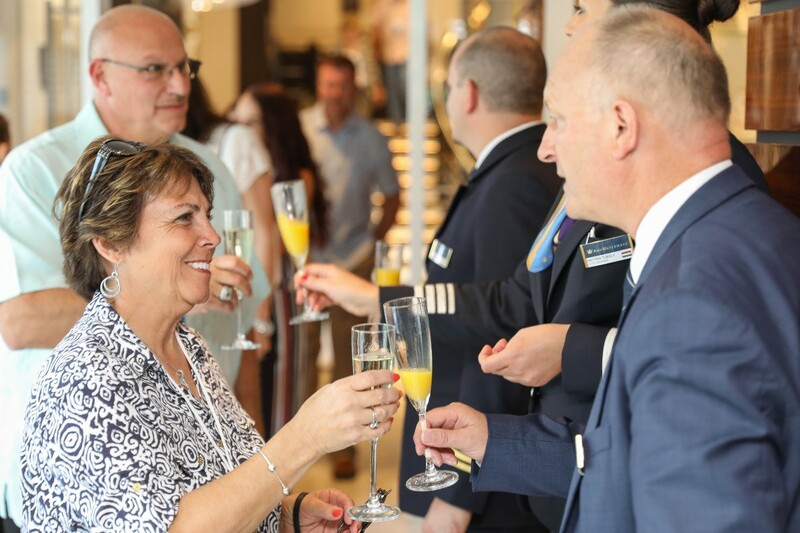 We will then return to the ship for a relaxing afternoon on the river with shipboard activities, dining and drinks as we cruise to Linz, Austria. The ship arrives this morning in Linz and we will board coaches for a day tour of the beautiful and historic city of Salzburg. Join an excursion to the birthplace of Mozart and visit unforgettable locations from “The Sound of Music.” As we make our way across the border to Germany, we will experience the tastes and sounds of an authentic “Oktoberfest” party. Disembark the ship and depart to Munich Airport for flights back home.